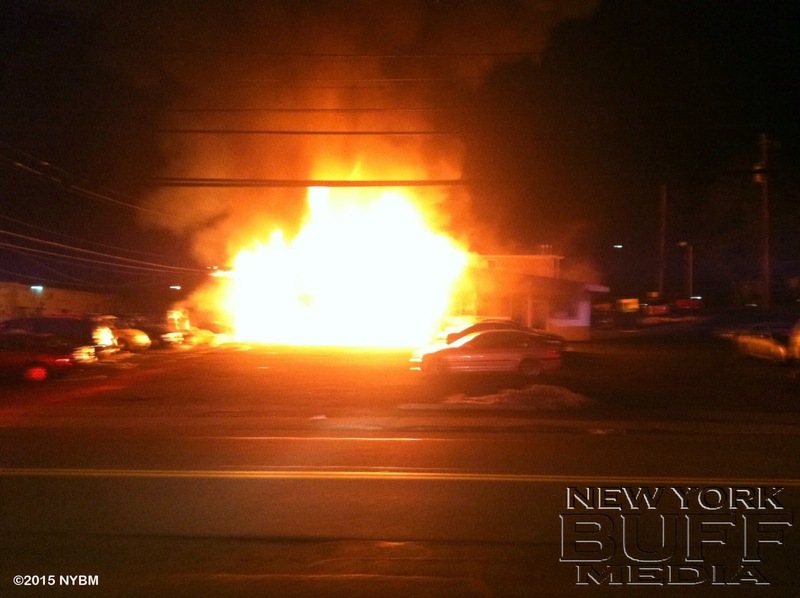 HILLCREST – The early morning blaze Thursday that burned down a Main Street gasoline station is considered suspicious as Ramapo police and fire investigators continue searching for the cause. Investigators have not ruled the fire arson, Ramapo Detective Lt. Mark Emma said. "The place was closed for business and there's no obvious cause right now," Emma said. "Right now, we are looking at it as suspicious. The assessment could change." Ramapo officers responded to the Hillcrest Service Center, 311 N. Main St., at 2:44 a.m. and found it fully engulfed in flames. Police said an officer feared the flames threatened a nearby house at 2 Locust St. and had the residents evacuate. The fire never reached the house, police said.